This is the first edition team set with 23 Football Player Cards and 1 Header Card. This high quality cards protected by a high quality case. 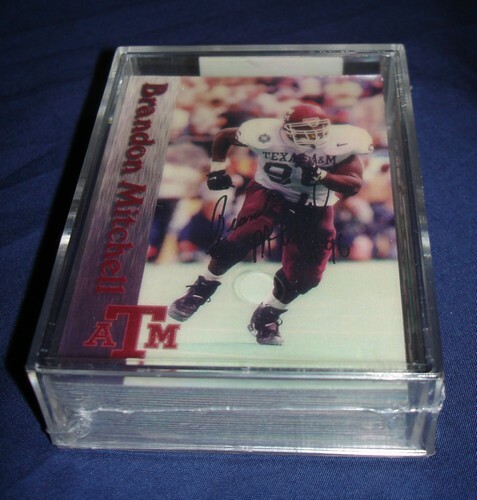 This is a must for any Texas A & M Memorabilia Collector!! 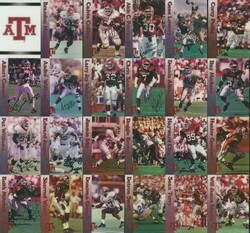 Get this great set of Texas AandM Football Cards. 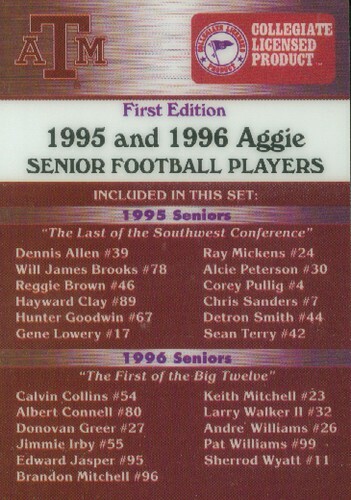 "The Last of the Southwest Conference"
"The First of the Big Twelve"